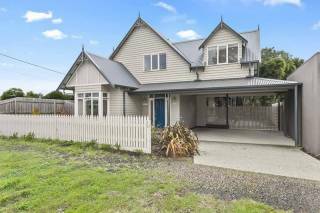 Barwon Heads Getaway is located a 15 minute walk to the main street of Barwon Heads, Beach, River and shops. A free shuttle bus runs from the corner, this travels all around Ocean Grove and Barwon Heads hourly over the Dec/Jan holiday period. Park your car when you arrive and walk to everything Barwon Heads has to offer, kids play park, and teenagers skate park a few minutes walk away. Barwon Heads Getaway is specifically set up for two families, or couples wishing to spend holidays or week-end breaks in comfort and space. With 4 bedrooms the main with queen bed, 2nd bedroom with queen bed and 3rd with bunk bed and single bed, 4th with two bunk beds. In the family room there is a sofa that folds out into a double bed. A spare mattress is located under one of the single beds for the odd overnight guest. 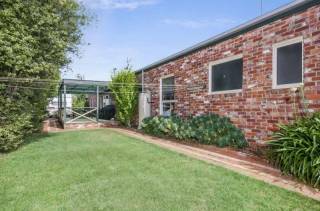 Barwon Heads Getaway has 2 bathrooms and two toilets, which include shower and bath. The designer kitchen is fully equipped with dishwasher, microwave and ample crockery, cutlery and glasses to cater for all holiday or week-end stays. The living areas x 3 include, a kitchen/dining/living area and two separate living areas with lounge furniture and tv’s including flat screen tv, so plenty of space for everyone to watch what they want on tv. The living areas also include cd play, IPOD and Doc Radio. Outdoors there is bbq and outdoor seating for 12 persons. And your dog is welcome outside only, so bring him/her along for the ride. 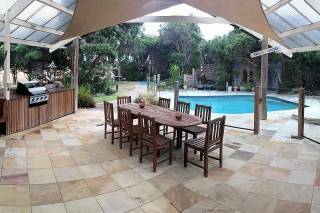 Barwon Heads Getaway has central heating and evaporative cooling to cater for all weather seasons. Barwon Heads Getaway offers clean, immaculately presented, fully self contained accommodation for families, extended families and couples to enjoy extended holiday breaks, or week-end getaways in pleasant surroundings on the Bellarine Peninsula. 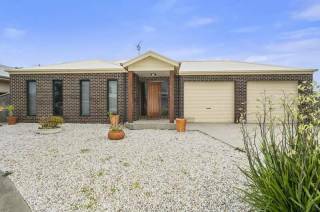 An ideal location for families wishing to visit the Bellarine to enjoy tourist attractions including the Bellarine Adventure Park. 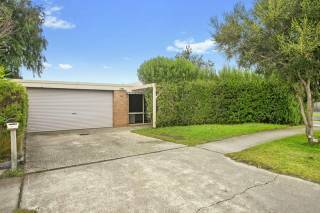 Agent means Andrew Smith and Meryll Smith trading as Barwon Grove Holiday Rentals (ABN 88 791 042 964). Agreement means the holiday accommodation agreement between You and the Property Owner, constituted by these Terms and Conditions and any other written terms applicable to the accommodation which are agreed between the parties prior to the commencement of the Stay. Booking means an accepted booking following our receipt of a Booking Form and payment of the Deposit. Booking Form means an application form in relation to the Property, including Your contact details and the duration of the intended Stay. Business Day means a day that is not a Saturday, Sunday, public holiday or bank holiday in Melbourne, Victoria. Claim means a claim, action, proceeding, judgment or demand made or brought by or against a person, however arising and whether present, unascertained, future or contingent. Conditions means these holiday accommodation terms and conditions. Consumer Guarantees means the guarantees set out in Division 1, Part 3-2 of the Australian Consumer Law. Deposit means a deposit of 20% of the Price payable upon a Booking, as specified in the Property Details. Liability or Loss means any liability, loss, cost, expense, damage, charge, penalty, outgoing or payment, however arising and whether present, unascertained, future or contingent. Price means the price payable for the Property, calculated on a nightly basis. Property means the property the subject of the Booking. Property Details means the details pertaining to the Property as shown on Our website or communicated to You orally or in writing. Property Owner means the owner of the Property You Book for Your Stay. Rent means the rent collected by the Agent in respect of the Property. Service Fee means the amount of $55.00. Stay means the period of the Booking. We, Us or Our means the Property Owner. You or Your means the person making the Booking. (b) The Conditions are legally binding between the Agent and the Client. (a) You acknowledge and agree that these Terms and Conditions form part of the Agreement between You and the Property Owner. (b) You acknowledge and agree that the Agent is the agent for the Property Owner and may exercise all of the rights of the Property Owner, on the Property Owner’s behalf, under this Agreement. (c) You acknowledge and agree that by completing the Booking Form and paying the Deposit, You are bound by the Agreement, including these Terms and Conditions. (a) Should You wish to book the Property, You must complete and submit a Booking Form and pay the Deposit and Service Fee. (b) The submission of a completed Booking Form and payment of a Deposit constitutes an offer by You to book the Property for Your intended Stay which can be accepted or rejected by Us within 5 Business Days. (c) If We reject Your offer, We will return the Deposit and Service Fee to You within 5 Business Days, subject to bank processing timeframes. (d) If We accept Your offer, We will confirm the Booking with You in writing within 5 business Days. (e) Should You wish to change Your Booking and We accept such changes, We are entitled to charge You a further Service Fee. (ii) Stays which include any day over Easter, 10 Business Days prior to the commencement of the Stay. (b) Without limitation, You will not be permitted to check in without making payment of the balance of the Price in full. (a) We may cancel Your Booking at anytime more than 30 days prior to the Stay without cause. If we cancel Your Booking without cause, We will refund You the Deposit and Service Fee in full. (b) We may cancel Your Booking at any time prior to check in if You fail to pay the balance of the Price in accordance with clause 5. If We take this action, 25% of the Price will be charged to You. (c) If You cancel a Booking more than 30 days prior to the Stay, an administration fee of 15% of the Price will be charged to You, unless You book another property with us for the same duration in which case an administration fee of $100 is payable. (d) If You a cancel a Booking within 30 days prior to the commencement of the Stay, 25% of the Price will be charged to You. (e) If You engage the Agent to arrange any ancillary goods or services to be provided in connection with Your Stay, these may only be cancelled by You without charge at least 7 days prior to the intended date of supply. (a) You acknowledge and agree that Your accommodation at the Property is a mere contractual licence to occupy the Property during the Stay and is subject to Our ability to immediately terminate this licence by oral notice to You upon any breach, or our reasonable suspicion of a breach, of any of the licence conditions set out in clause 6(b). For the purposes of this clause 6, a breach by any person of the licence conditions set out in clause 6(b) during the Stay is deemed to be a breach of such conditions by You. (iv) permit Us to access the Property between 9:00am to 5:00pm to check compliance with the Agreement upon provision of 2 hours’ oral notice. (xii) in relation to a pet-friendly Property, allow any animal to access the inside of the dwelling on the Property. (a) Each covenant in clauses 8(a) and 8(b) is a separate and independent covenant given by You. They are cumulative in effect. (b) You must indemnify, and keep indemnified, the Property Owner, its agents, contractors and employees in relation to any Claim against the Property Owner, its agents, contractors and employees and for any Liability suffered by the Property Owner, its agents, contractors or employees in connection with a breach of this Agreement or any negligent act or omission or wilful misconduct by You or Your invitees on the Property. (c) You must indemnify, and keep indemnified, the Property Owner in relation to any Claim against the Property Owner and for any Liability incurred by the Property Owner arising from or in connection with Your breach of this Agreement. (ii) without limiting the operation of clause 8(a), the covenant which is or becomes invalid or unenforceable is severed from the Agreement. (a) You may check in to the Property at any time after midday on the first day of the Stay. (b) You must check out of the Property by midday on the last day of the Stay. (iii) turn off all lights and appliances. (d) any costs reasonably incurred by the Agent in connection with clauses 10(a) to (c), which the parties agree will include an administrative staff cost of $100 per hour. (d) require payment of the Price in full at least 30 days prior to the commencement of the Stay. (d) We are not responsible for any damage to, or theft of, Your property located on the Property during Your Stay, or left on the Property following Your Stay. (f) You are responsible for any personal injury suffered by any person by reason of Your conduct during the Stay. To the maximum extent permitted by law and excluding the Consumer Guarantees, all terms, conditions and warranties that would be implied into this Agreement or in connection with the supply of the accommodation services under law, statute, custom or international convention are excluded. Except in the case of a breach of the Consumer Guarantees, Our liability to You for any loss or damage suffered by You in contract, tort or otherwise is limited to the refund of the Price or the re-supply of replacement accommodation services. (a) Each covenant in clauses 15(a) and 15(b) is a separate and independent covenant given by the Client. They are cumulative in effect. (b) The Client must indemnify, and keep indemnified, the Agent, its agents, contractors and employees in relation to any Claim against the Agent, its agents, contractors and employees and for any Liability suffered by the Agent arising from or in connection with the Client’s breach of this Agreement or any negligent act or omission or wilful misconduct of the Client, its agents, contractors or employees. (c) The Client must indemnify, and keep indemnified, the Agent in relation to any Claim against the Agent and for any Liability incurred by the Agent arising from or in connection with the Client’s breach of this Agreement. (ii) without limiting the operation of clause 15(a), the covenant which is or becomes invalid or unenforceable is severed from this Agreement. (a) This Agreement shall be governed by the laws of Victoria and the parties submit to the non-exclusive jurisdiction of the courts operating in that state. (a) The Client warrants that this Agreement creates binding and valid legal obligations on it. (b) The Client must not assign this Agreement to any other party without the Agent’s written consent which may be withheld at its absolute discretion. (c) The Client warrants that it has read and understood this Agreement and has had an opportunity to obtain legal advice before executing them.